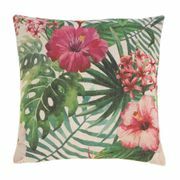 Hawaiian Botanical Decorative Throw Pillow 17 x 17. 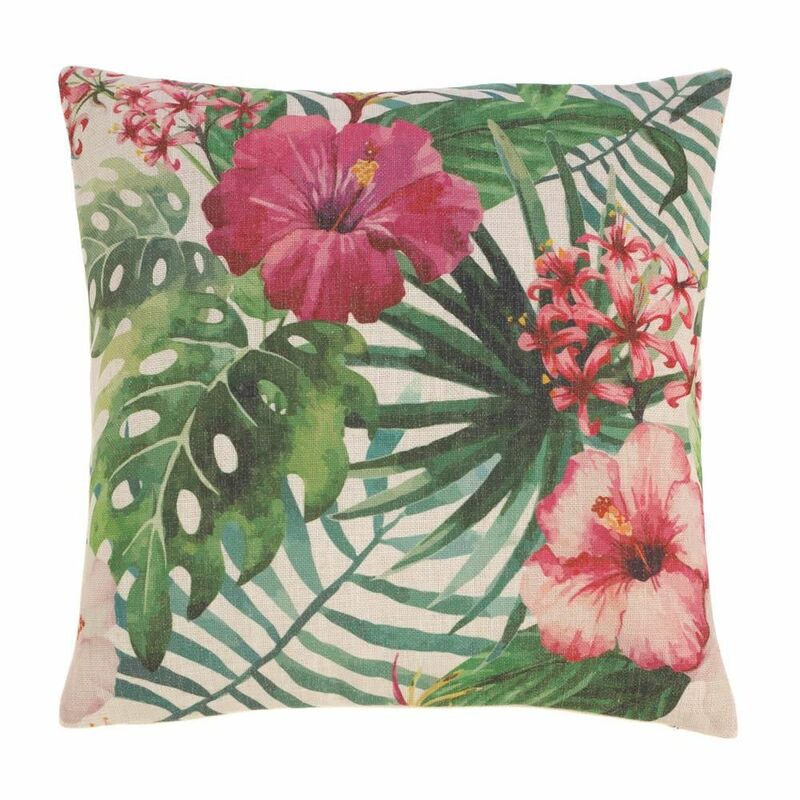 This pillow will inspire thoughts of lush rain forests. Hibiscus flowers add a touch of luxury and a pop of color to the Lanai, the sofa, the bedroom or any room in need of something special! The tropical colors are vibrant with pink to maroon, light to dark greens, and hints of gold all set on an ivory background. Zippered cover for easy removal and cleaning. Machine wash cold. Do not bleach. Do not tumble dry. Iron low heat.